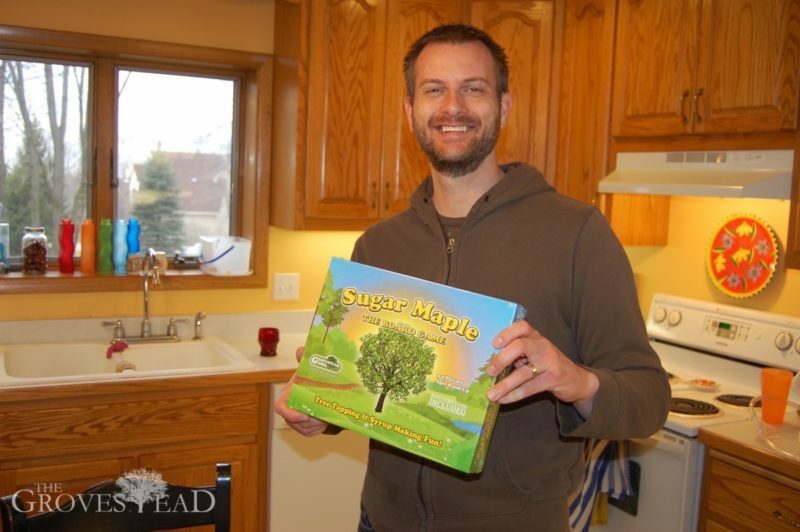 It seemed fitting that tree-tapping season arrived early this year, as I was working on a new board game concept called “Sugar Maple”, a game about tapping trees and making maple syrup. 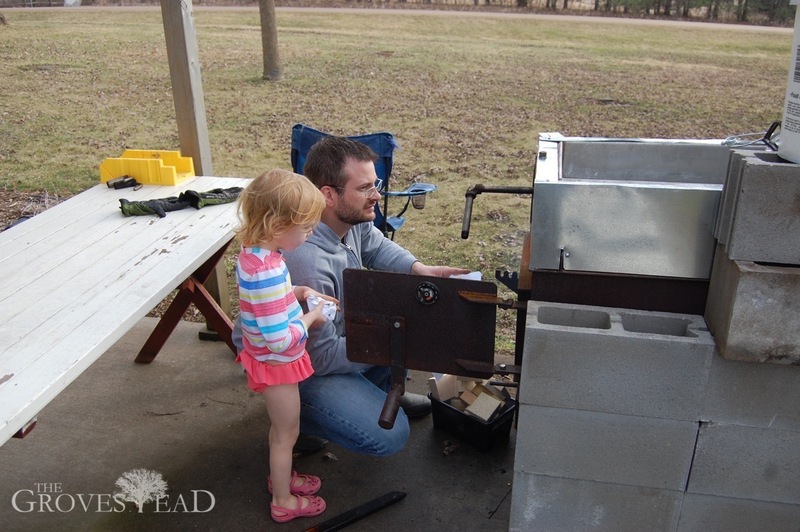 I found myself alternating between designing game pieces and hauling buckets of sap to the evaporator. 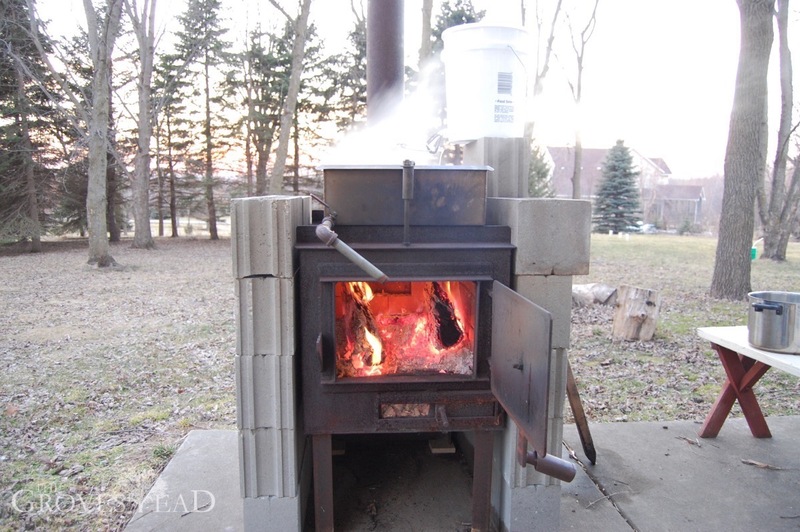 The same day I finished and ordered the prototype, I started up a fire and evaporated 30 gallons of sap. 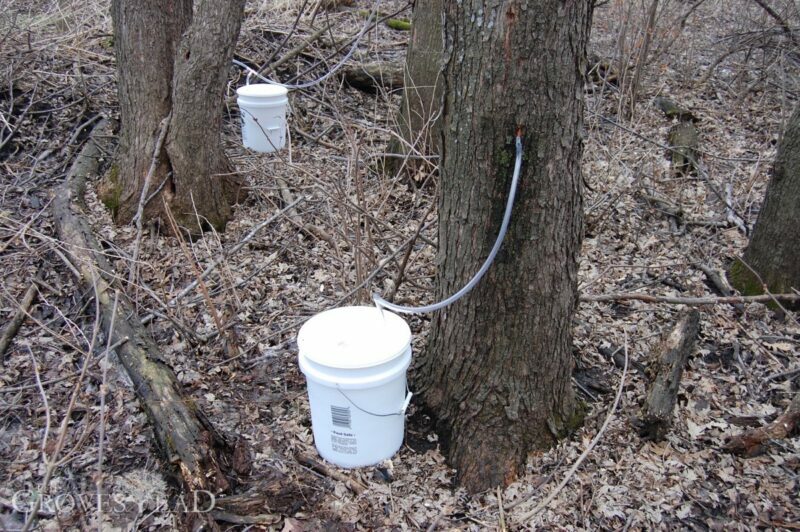 I can truly say that this game is born out of real experience tapping maple trees! The prototype arrived as I was wrapping up evaporating 80+ gallons of sap, making for a perfect way to celebrate the end of tree-tapping season! I originally had the idea four years ago after visiting a tree-tapping operation at a Minnesota park reserve. 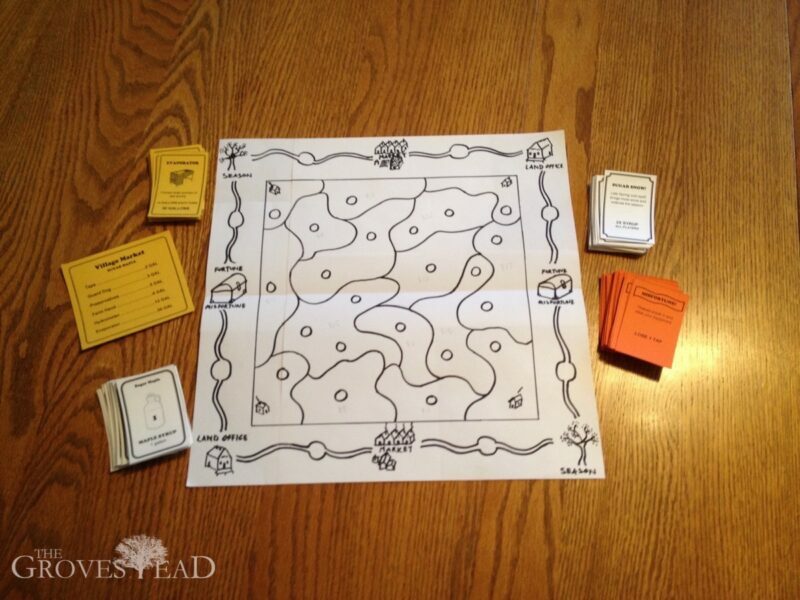 For some reason—I still don’t know why—the idea struck me that this would make an interesting board game. 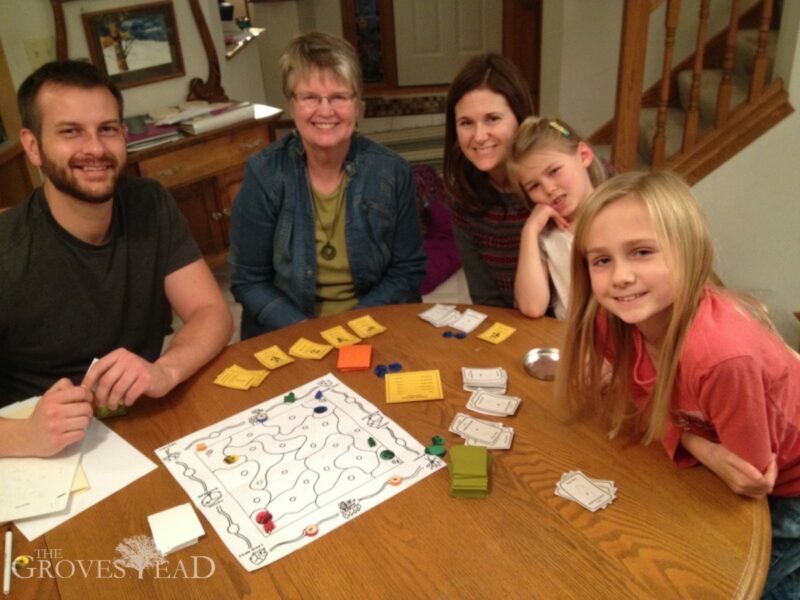 And for the next few years I worked on numerous concepts until I finally honed in on a good game (with many thanks to my nieces and nephews). I’m actually in the middle of finishing three game prototypes which I hope to present at an educator’s conference in April. The other two are Colors & Shapes and Hobby Farmer. 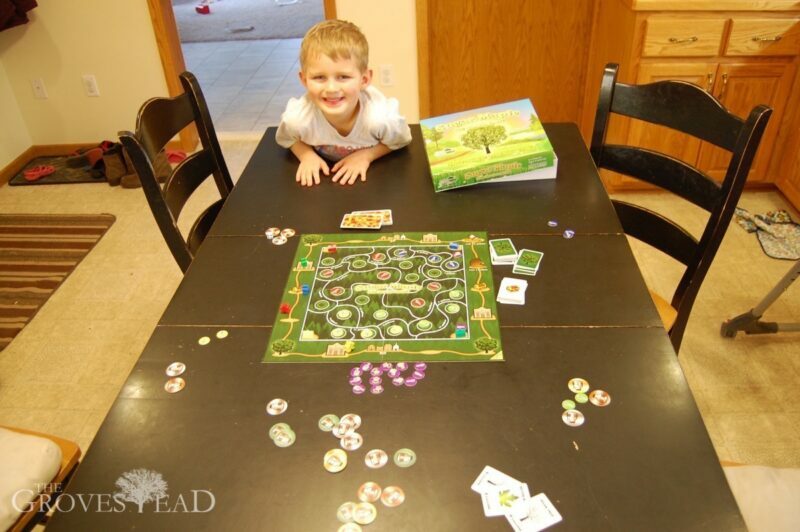 All the games are educational in nature. 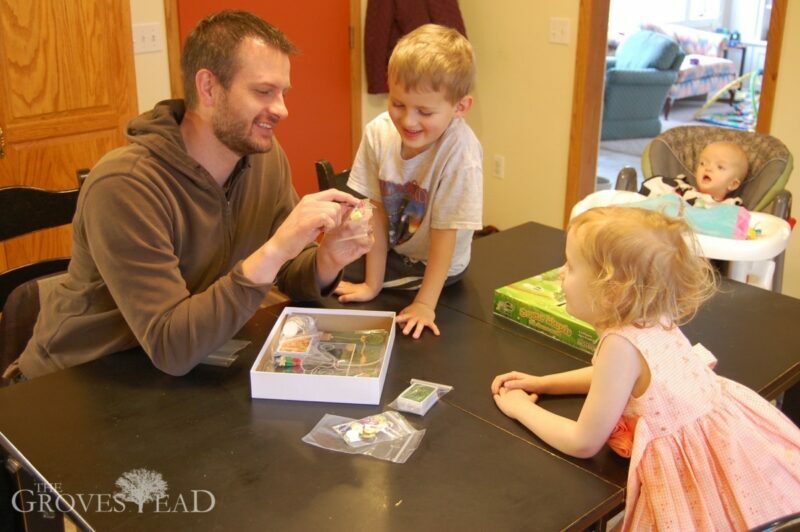 Some will include an educator’s guide complete with curriculum and activity worksheets. 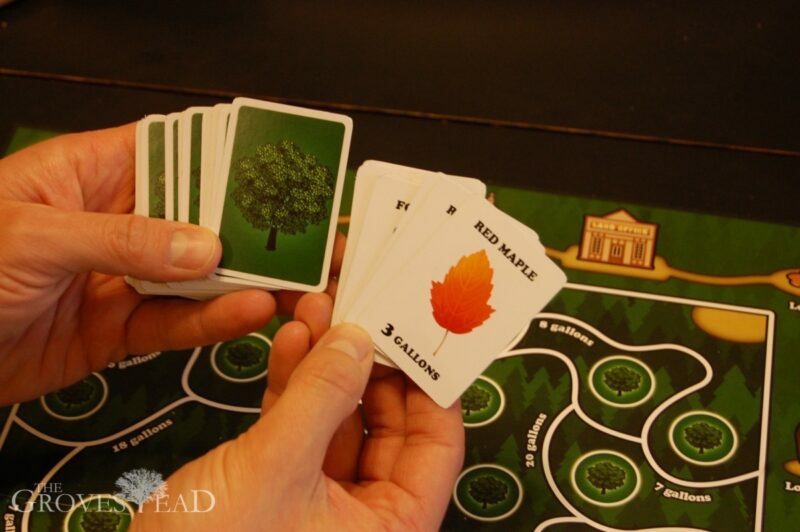 The idea is that a teacher or camp counselor or home educator or naturalist can use Sugar Maple to teach students about tapping trees in a fun an memorable way. 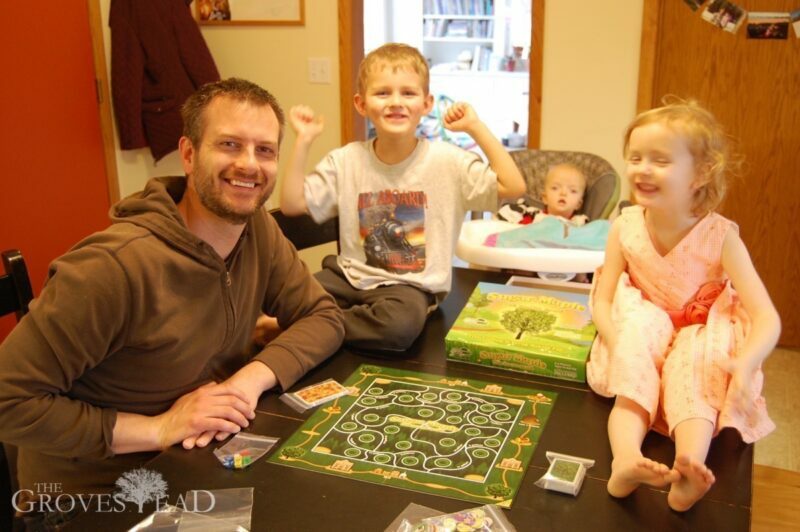 I have no desire to be a publisher, my interest is in game design. So my hope is that these games will find their way to an interested publisher someday. Until then, I’ll just keep designing as the ideas come. Ivar holds the distinguished honor of being the first-ever winner of the official Sugar Maple board game. Spring has arrived about 6 weeks early in Minnesota this year. That’s not to say winter won’t stop by again, but today is the 3rd day in a row of 60+ temps and will be the last day snow can be seen on our property. Even the grass is starting to green up! Spring is always welcome here. However, Spring on a Hobby Farm means lots of work! And I’m not fully ready to come out of hibernation yet. 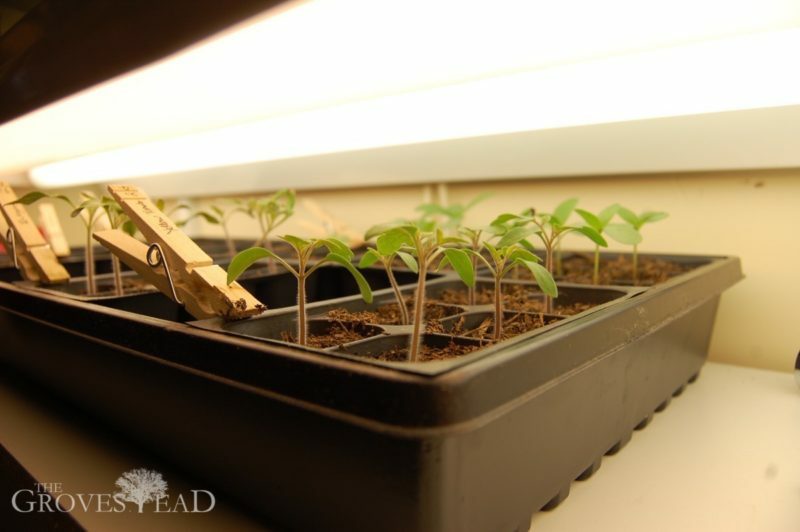 The seedlings are planted and growing well: tomatoes, broccoli (which Becca says she wants every week of the summer), lettuce, and a variety of flowers. 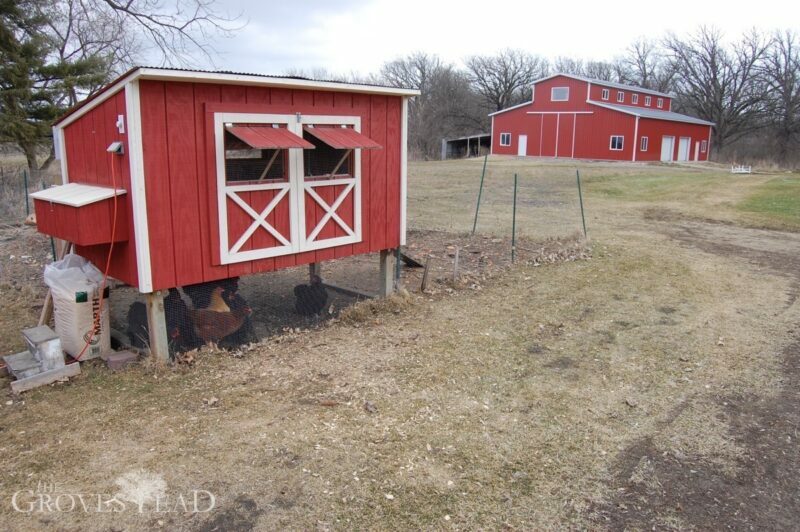 The chickens are laying abundantly, after about a 5-month hiatus during the coldest months. 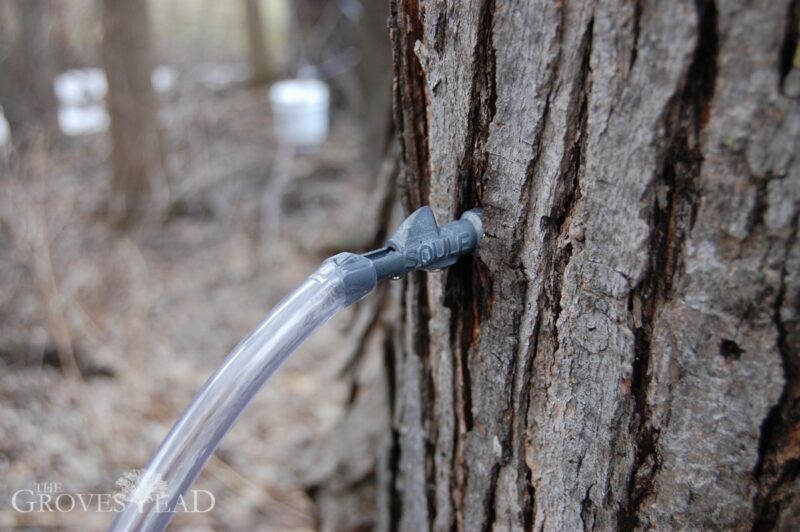 All the maple trees are tapped and flowing a full 3 weeks ahead of season. I just hauled in 5 more gallons of sap after taking this picture. 30 gallons collected so far, waiting to be evaporated. Since the sap is flowing, it is also the best time of year to graft trees. I made my first attempt, grafting a branch from a HoneyGold apple tree onto the MacIntosh nearby. The yellow HoneyGold was one of a few trees we planted without ever knowing how the fruit would taste. It turned out be delicious! Like a cross between a pear and an apple, but the texture of a HoneyCrisp. 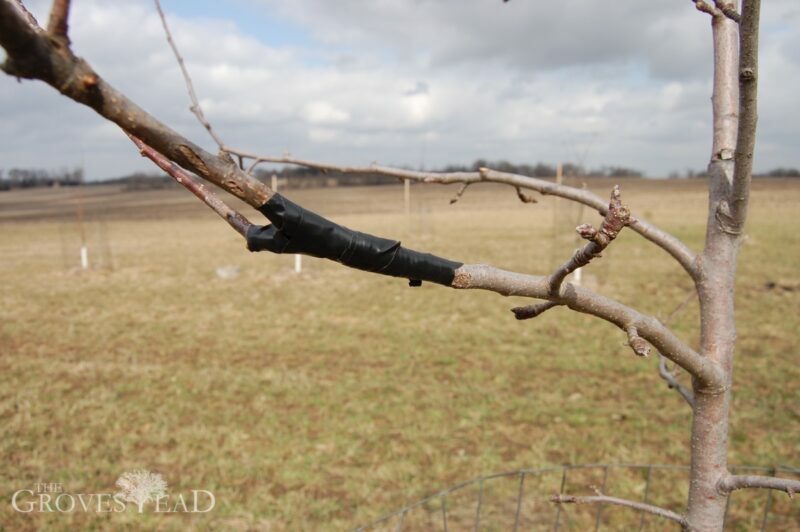 Needless to say, we want more HoneyGold and a simple way to expand the supply is to graft onto another tree. If successful, the MacIntosh will be bearing both red and yellow apples!